Wondering how to set up your Apple TV? Unsure how to stream Netflix and download apps? Having trouble configuring custom DNS servers? Relax, we’re here to help. Here’s how to set up your Apple TV, what you can do with it, and how to troubleshoot common Apple TV issues. 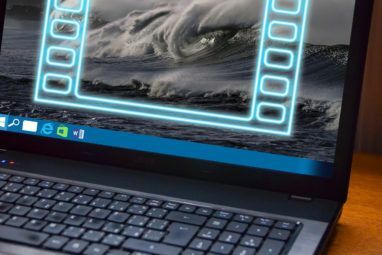 This guide is designed to provide a thorough walkthrough of the process, so you can get back to binge-watching your favorite movies and shows. Once you’ve unboxed Apple’s shiny black box of tricks, the setup is relatively straightforward. In the box, you’ll find an Apple TV unit, a power cable, the remote, and a Lightning to USB-C cable. You’ll need to provide your own HDMI cable Why You Should Never Spend More Than $10 On An HDMI Cable Why You Should Never Spend More Than $10 On An HDMI Cable To get the best out of your HD equipment, be it a nice widescreen television, a Blu-ray player, a PS3, or an HD streaming set-top box, you need at least one HDMI cable. Or more... Read More . The first thing you’ll need to do is connect one end of your HDMI cable to your Apple TV, and the other to your television. If you’re using a digital receiver for surround sound, you’ll need to connect it to your receiver instead. Make a note of the HDMI port number. Note: If you don’t have enough spare HDMI ports, you’ll need to unplug a device you don’t use very often (like an old DVD player or game console) or purchase an HDMI splitter. Hit the Menu and Volume Up (plus) buttons until your Apple TV recognizes your remote. If it won’t connect, try holding those buttons for five seconds to reset it. If it still won’t do anything, you may need to charge the remote. Next you’ll need to pick your language and current region. You can make your selection by clicking the touchpad, or hit Menu to move back a step if you make a mistake. When prompted, enable Siri access if you would like to use your voice to interact in future. Finally, you must choose a method to complete your Apple TV setup: Set up with Device or Set Up Manually. Choosing Set Up with Device requires an iOS device like an iPhone or iPad. This option transfers settings from your iPhone to your Apple TV, including wireless network settings, your Apple ID login, and iCloud credentials. If you go for this option, you’ll need your device nearby; simply follow the on-screen instructions while the Apple TV copies the information. If you encounter problems using this method, hit Menu and choose Set Up Manually instead. Choosing Set Up Manually takes a little longer, and you’ll need to enter your wireless network credentials manually if you’re using one. Once you’ve successfully connected to the internet, you’ll be prompted for an Apple ID. This is the same login you use on your iPhone or Mac for iTunes purchases, or when logging into iCloud.com. Though it’s possible, don’t skip this step. Note: You may be prompted for a verification code if you’ve enabled two-factor authentication on your Apple ID Lock Down These Services Now With Two-Factor Authentication Lock Down These Services Now With Two-Factor Authentication Two-factor authentication is the smart way to protect your online accounts. Let's take a look at few of the services you can lock-down with better security. Read More . If you haven’t done this yet, we’d strongly recommend you do so to significantly increase account security Two-Factor Authentication Hacked: Why You Shouldn't Panic Two-Factor Authentication Hacked: Why You Shouldn't Panic Read More . The very last step is choosing whether to require a password for purchases made with your Apple ID. This also applies to free apps. Unless you’re setting the Apple TV up in a shared house, workplace, or other similar location, choose Never Require for convenience. Location Services — choose whether to allow your location to be used to personalize content, like weather and TV. Screensavers — the Apple TV is famous for its screensavers; choose whether or not to connect to the internet to download more (and how often). Analytics — anonymous usage statistics gathered by apps while you use them; choose whether or not to submit them to developers to help Apple to help improve future versions. Terms and Conditions — endless pages of legalese, which you’ll need to accept. If in doubt, enable them all. You may want to limit how often screensavers download if your monthly internet bandwidth quota is low. With your brand new Apple TV set up and connected to the internet, it’s time to have some fun. Let’s get the basics out of the way first. To turn on your Apple TV at any time, simply click any button on the remote. If this doesn’t work, charge the remote. To turn off your Apple TV, press and hold Menu, then choose Sleep. The remote touchpad allows you to navigate horizontally and vertically, and you can click the touchpad inwards to make a selection. You can go back one step using the Menu button, or press the Home button (it looks like a TV) to return to the main dashboard at any time. The play/pause button is used to control playback, but also to switch between upper and lower case letters during text entry. While a video is playing, you can drag left or right on the touchpad, then click to seek backwards and forwards in ten second increments. If you pause playback, you can scroll horizontally to select a specific playback point. When typing, it’s possible to use your iOS device as a keyboard. This is much easier than using the touchpad and horizontal typing. The feature requires you to be logged into the same Apple ID on both the iOS device and Apple TV. You should receive a notification on your iOS device whenever the Apple TV asks for text entry. Finally, you can also ask Siri to do things for you using the Siri button (it looks like a microphone). Just hold the button and speak your query. We’ll be covering this in greater detail later in the guide. It’s boring, it takes time, but it’s important. Apple provides ongoing software updates for your Apple TV, which uses an operating system called tvOS. Apple adds new features, fixes old bugs, and makes changes to the way the Apple TV works with free updates. Before you do anything, navigate to Settings > System > Software Updates and choose Update Software. Let any available updates download and run, after which your Apple TV will restart. The unit will periodically check for updates, but you can manually check at any point by coming back to this menu. If you’ve been using an iPhone or iPad for a while, you’re probably familiar with Apple’s “everything is an app” approach. tvOS is built on the same software, and the same principles. That means content is accessed via apps, which take the form of icons on your dashboard. Apps can be downloaded from the App Store. If you skipped login earlier, you’ll need to provide a valid Apple ID before you can download anything (even free apps). If you’re looking for services like Netflix, YouTube, TED, and catch-up TV channels for your local area, you’ll need to search the App Store for them. Launch the App Store by highlighting it and clicking the touchpad. Take note of the tabulated interface that allows you to switch between Featured, Top Charts, and so on. If this tab display disappears, simply use the Menu button to restore it. Browse the apps on offer or scroll to the Search tab and find something to download, like YouTube. The first time you download an app, you’ll need to enter your Apple ID password. For future purchases, you can choose to store this. This is handy, but do note that anyone with access to your Apple TV can make purchases if you enable the feature. Any apps you download will appear on your home screen, just as they would on your iPhone or iPad. Return to the homescreen by pressing the Home button (it looks like a TV). Highlight an app, then tap and hold the touchpad button until the app starts wiggling. You can now drag the app around the homescreen and place it wherever you like. You can create folders by holding one app icon over another, or you can delete an app by pressing the play/pause button and selecting Delete while it’s wiggling. To stop an app wiggling, hit Menu. Note the top row of apps on your homescreen, as these are slightly different. Not only will apps placed here be more accessible, you can jump straight to content simply by highlighting the app. Compatible content will appear above this top row. Most commonly, this is used by catch-up TV apps to display popular or recently-added content. The Apple TV uses an app switcher, just like your iPhone does. To access all currently suspended applications, double tap the home button (it looks like a TV). From here, you can quickly switch to an app you just had open, or you can forcibly “kill” an application by highlighting it and swiping upwards. Note: Just like on your iPhone, there’s no need to routinely kill apps 5 Bad iPhone Habits You Should Break Today 5 Bad iPhone Habits You Should Break Today Think you're a responsible smartphone user? Reckon you're saving battery by killing all those apps? Think again. Read More . If an app is misbehaving, or refuses to update content, killing it should fix the issue. What could be an easier way of interacting with your Apple TV than simply talking to it? The Siri button on your remote allows you to do just that. To get started, simply hold the button and say something. Siri functions the same as it does on your iPhone, though your Apple TV is limited in terms of tasks it can perform. These tasks are overwhelmingly weighted towards entertainment, search, and playback control. “Find Blade Runner” — searches iTunes for media related to your query. “Search Netflix for Stranger Things” — searches Netflix for a specific query (try other apps like YouTube too). “What are the best new releases?” — searches iTunes for trending media. “Turn on closed captioning” or “rewind five minutes” — to control playback. “Play the latest Bonobo album” — searches Apple Music and starts playback. “Search the App Store for YouTube” — searches the App Store for your query. “Find the Cool Games Inc podcast” — searches the iTunes podcast database. “Set the temperature to 21 degrees” — control connected devices with HomeKit. “What’s the weather tomorrow?” — checks the weather, requires Location Services. “Open ABC iView” — to launch an app. You can perform any of these tasks while doing anything, which can really speed up how you use your Apple TV and removes the need to type manually or reach for your iPhone. Once of the main reasons people buy the Apple TV is for reliable use of Apple’s proprietary wireless streaming technology called AirPlay. It allows anyone with an iPhone, iPad, or Mac computer to send video, audio, or both to the Apple TV wirelessly. It’s great for sharing a video from your iPhone with the whole room, but its uses go way beyond Did You Know You Can Play Games On Your Apple TV? Did You Know You Can Play Games On Your Apple TV? It's time to stop craning your neck over your iPad or iPhone and use mirroring to enjoy iOS games on your Apple TV instead. Read More that. AirPlay works out of the box with virtually any other iPhone, iPad, or Mac. Head to Settings > AirPlay to change the name of your receiver and configure security settings. To use AirPlay, look for the AirPlay icon in apps. On iOS, swipe up to reveal Control Center, then choose AirPlay Mirroring to mirror your whole device How to Mirror an iPhone or iPad to Your TV How to Mirror an iPhone or iPad to Your TV Want to know how screen mirroring works on your iPhone? Here's how to mirror your iPhone to a TV using several methods. Read More , or swipe left and choose your Apple TV under outputs. Mac users will find the AirPlay icon in the menu bar at the top of the screen. App Store, Settings — obviously. Music — for accessing Apple Music content. 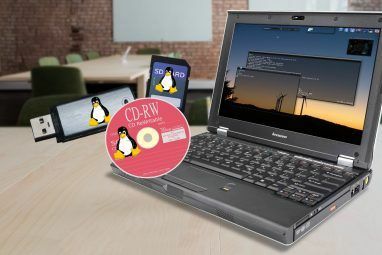 Computers — allows access to Home Sharing music, video, and photo libraries. Photos — displays recent photos via iCloud photo stream, and iCloud Photo Library if enabled. Podcasts — access iTunes podcasts to which you’re subscribed. Search — or just speak to Siri. TV Shows, Movies — buy or rent content via iTunes. You’ll need to enable Home Sharing if you want to share the iTunes library on your Mac or Windows PC with your Apple TV How to View Mac Photos or iPhoto Slideshows On Your Apple TV How to View Mac Photos or iPhoto Slideshows On Your Apple TV Whether you're using the Photos app or Apple's older iPhoto, it's easy to share your slideshows with friends, family or colleagues. Read More . On your Apple TV, head to Settings > Home Sharing and login using your Apple ID. On your Mac and subsequent devices, launch iTunes and head to Preferences > Sharing. Enable Share my library on my local network and choose whether or not to share the whole library, or just a few select playlists. To share your Photos library (on a Mac) head to File > Home Sharing > Choose Photos to Share with Apple TV and share your photo library. 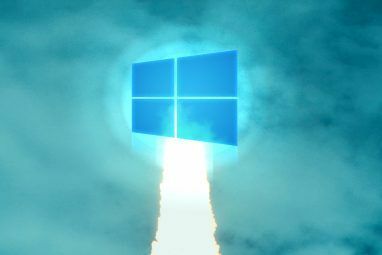 Launch the Computers app to see your shared libraries. If you’re an Apple Music subscriber, your subscription and iCloud Music Library should automatically be detected when you initially login with your Apple ID. Launch the Music app to see your collection. As foolproof as the Apple TV and its operating system may seem, things can and do go wrong. Here’s what to do, and a few common issues you may encounter on you Apple TV. Press and hold the Home button (it looks like a TV) and Menu button until the light on your Apple TV flashes. Head to Settings > System > Restart. Unplug the unit from the wall, wait ten seconds, then plug it back in. You might not be seeing the whole picture, depending on how your TV is displaying the Apple TV signal. Head to Settings > Audio and Video > Calibrate and choose Zoom and Overscan. You’ll now need to adjust your TV so that you see the screen above. If you can’t read the words “Full Screen” or there is additional black space surrounding the light gray border, you’ll need to change things. Some TVs refer to this as overscan, or aspect ratio — you’ll want to pick a setting like “just scan” or 1:1. Apple’s restrictions let you lock down your Apple TV so that your children cannot access mature content or run up large bills. Head to Settings > General > Restrictions and turn Restrictions on. You’ll need to set a four digit passcode — don’t forget it! Allow — to allow a feature with unrestricted access. Restrict — require a four digit passcode to access purchases or apps. Block or No — disable a feature, app or content entirely, no passcode access. Show or Yes — enable a feature, app or content entirely. Hide — content that falls under this setting will be removed entirely. You can restrict pretty much anything, including purchases and rentals, media based on age ratings, AirPlay settings, even access to multiplayer games. Just don’t forget that passcode, as you’ll need it to disable any restrictions you have set. Have a poke through the Settings > General menu to make sure things are the way you want them to be. You can change your theme from light to dark, set screensaver options, tell the Apple TV when to auto-sleep, and manage privacy settings including Location Services. You can also set the name and AirPlay permissions for your Apple TV (handy if you have more than one in the house) under Settings > AirPlay. If you feel like the remote is too sensitive (or not sensitive enough) you can customize the tracking speed under Settings > Remotes and Devices. You can even add a third-party home theater remote, if you own one. In order to access geo-restricted content, you may need to use custom DNS servers. You can add your own servers under Settings > Network. Choose your connection until you see the Configure DNS option, then input your own IP address. To remove old servers, simply access this menu again, delete the IP, and save your settings. In both instances your Apple TV will reconnect to the network to resolve the changes. For a full DNS flush, try unplugging your Apple TV for ten seconds. Note: Unfortunately, there’s no way to natively connect to a VPN on the Apple TV. From experience, the Apple TV doesn’t always tell you when the remote is low on battery. This can cause it to do some pretty weird things, and eventually it will work sporadically or not at all. Whenever this happens, simply charge the remote using any old Lightning cable. Typically, you’ll only need to charge the remote once every few months. Generally speaking, most Apple TV issues can be solved either by restarting your Apple TV or running software updates if there are any available. Occasionally, apps will crash or become unresponsive too. But if things go really wrong, you can reset the unit and start again. You can perform a full reset under Settings > System > Reset, which will remove all apps and personal data. You’ll need to set up the unit again once you’ve chosen this option. You can also connect the Apple TV to a Mac or PC using a USB-C cable, launch iTunes, and choose Restore. HDCP stands for High bandwidth Digital Content Protection, and is a form of encryption designed to prevent the unauthorized recording of copyrighted content. The Apple TV uses HDCP, and requires a HDCP-compatible display in order to work. Almost every TV on the market today Is a Smart TV Worth It in 2017? 6 Things to Check Before You Buy Is a Smart TV Worth It in 2017? 6 Things to Check Before You Buy These days, almost every TV is "smart" in some capacity, but there are several important features to look out for! Here's why 2017 is the best year yet for purchasing a smart TV. Read More will work with HDCP, though some very old models may not. Most new computer monitors are also compatible. That doesn’t necessarily mean you won’t see HDCP errors. Devices like HDMI switchers and audio-visual receivers (for surround sound) can cause issues with HDCP. You should remove any such devices to try and isolate the issue. It’s also worth changing the HDMI cable, and performing a full restart. You might also want to check your HDMI settings under Settings > Audio and Video, though you’ll need another display in order to do so. As a last ditch attempt, you can try restoring your Apple TV to factory settings as per the instructions above. You’re now up to speed on how to setup, use, and troubleshoot your brand new Apple TV. 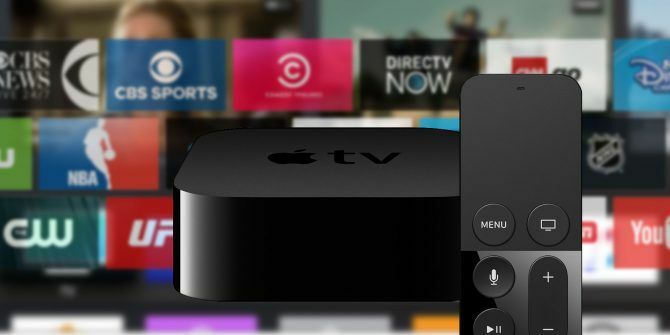 When we first reviewed the unit in 2015, Apple TV 2015 Review Apple TV 2015 Review With competition from Google's Chromecast and Amazon’s FireTV reaching fever pitch, can Cupertino still hold its own in the battle for the space under your TV? Read More the software was in its infancy. Siri couldn’t launch software or search third-party catalogs like Netflix. There was a serious lack of apps too. But several years later (and a number of tvOS revisions later), the Apple TV is a strong contender for the space under your TV Still Unsure If You Need an Apple TV? Here’s What It Can Do Still Unsure If You Need an Apple TV? Here’s What It Can Do On the fence about what seems like yet another expensive Apple purchase? Check out what you can do with an Apple TV and decide for yourself. Read More . The app selection has grown considerably, and you can do almost everything with your voice and Siri. Let us know if you’ve had any issues getting your Apple TV working, and we’ll try and help you out! Explore more about: Apple Airplay, Apple TV, Longform Guide, Setup Guide, Siri, tvOS. Great article! Everything is mentioned and provided with details. I will now have more options for my Apple TV:) I'd only add a good software ArkMC app for Mac. I've just started using it but very satisfied so far. It shares my media without any problems, fast and it's very simple in use. I don't need any cables or adapters. I have a lot of different media on Mac, like photos from holidays, videos or cartoons for my boys. I stream from Mac to Apple TV with ease.